Carter & Churchill Victorian Era Billhead from the VintageWorkwear.com collection. 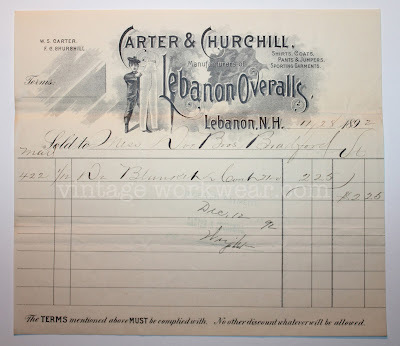 CARTER & CHURCHILL'S LEBANON OVERALLS antique engraved Trade Card and Billhead. These vintage ephemera items date to the end of the 19th century with the billhead dating back to November 28, 1892. 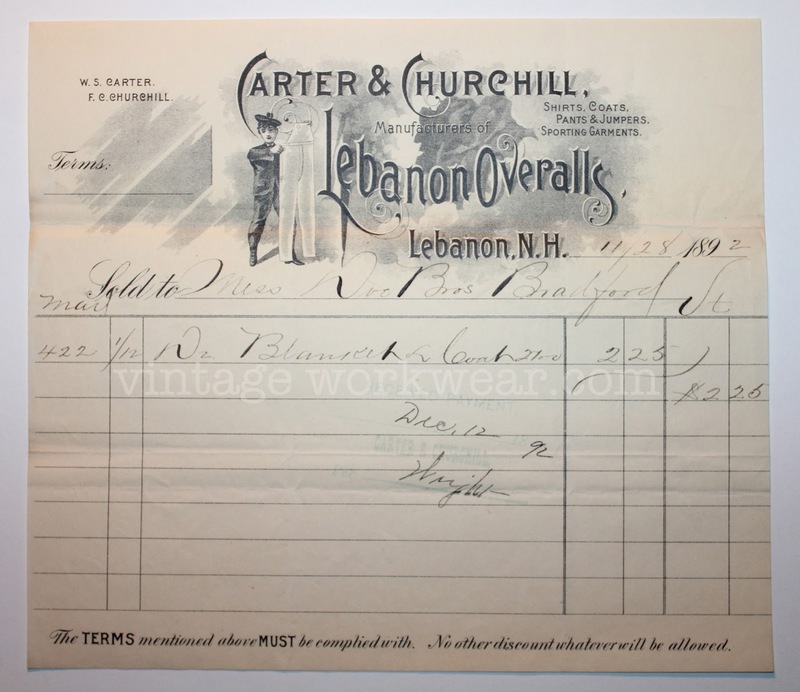 Some history on the Carter's brand can be found in the previous vintage workwear.com post here. With the recent reintroduction of H.W. CARTER AND SONS and the CARTER'S Watch The Wear label, vintage inspired chore coats, overalls, aprons, caps & bandanas are once again available from latest incarnation of this storied American brand.